Summer time at Delightful Tea Bake School is all about the Jam Making. A quintessentially British teatime bake! 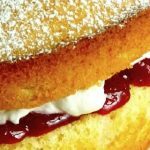 Bake a delicious, moist sponge completely from scratch before filling it with fresh cream and homemade strawberry jam. 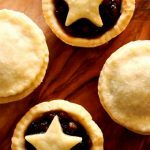 A lovely class for an aspiring baker, but also great fun for more confident bakers to enjoy together, so perhaps bring a long your friends for your own mini Bake Off! This class runs during the British strawberry season only, typically late May – early September, Mother Nature dependent! Our next classes are on the 29th August and 2nd September. We have the following courses running in August – Victoria Sponge, Beginners Bread Making, Macarons, French Bread, Doughnuts & Churros and our Two-Day Patisserie course, as well as our Adult & Child School Holiday Classes in Cookie Decorating, Cupcake Baking and Decorating, Viennese Whirls and Scones and Shortbread.